Kids Birthday Party Magic Classes | Perfect for Older Kids! 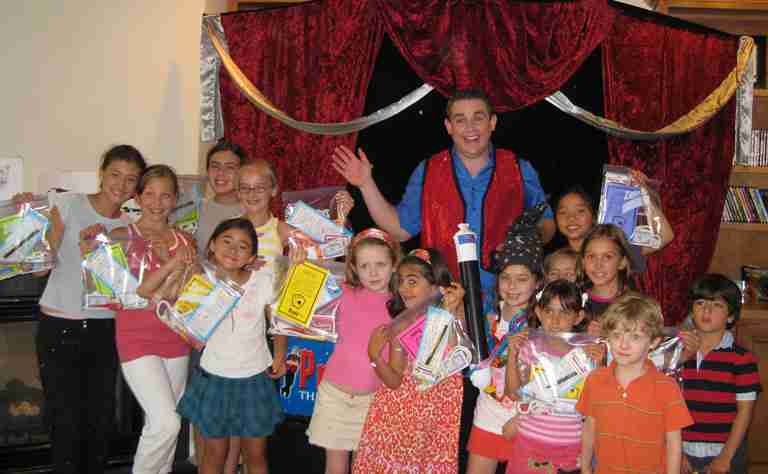 Think your child might be a little too old for a kid’s magic show, but still want something creative, original, and fun? Bring Presto to teach a birthday party magic class! 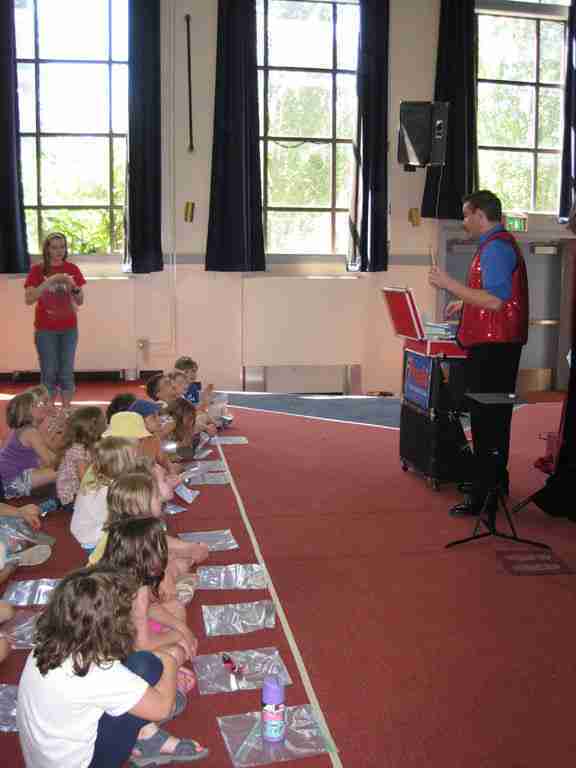 I’ve performed for enough kids to know that those ages 8-11 enjoy watching magic, but they really enjoy learning the secrets behind the tricks. I begin a birthday party magic class by first performing a few tricks I don’t reveal the secrets to. This gets the kids excited for magic and eager to learn magic secrets. Then, I demonstrate the first magic class trick and ask if anyone knows how it was done. That’s when the learning begins…class is in session. I demonstrate each trick, teach the method behind the trick, and then the kids get a few minutes to practice before moving on to the next effect. 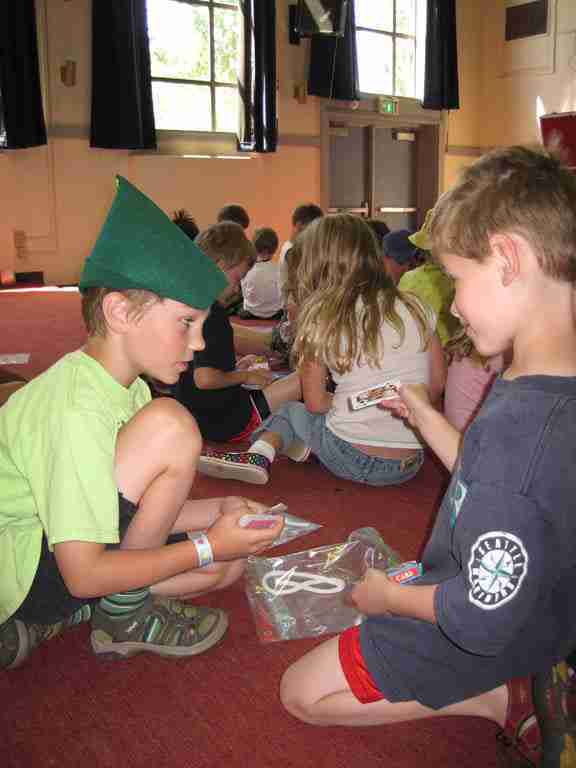 At the end of the class, each child goes home with a bag of tricks, an instruction booklet, and other magic surprises! Why Presto’s Birthday Party Magic Class? ♦ A creative, exciting activity for kids ages eight and up! ♦ An interactive, hands-on experience for everyone who attends! ♦ Over an hour of entertainment and fun! Is my child’s “inner child” going to be ruined? No, but they will find out some of the secrets behind principles of magic! In the magic classes, we talk about how performing magic often depends on a combination of magic principles, sleight of hand, and acting! The magic tricks I reveal and teach are based on basic magic principles, appropriate for beginners and perfect for inspiring kids to explore more! My child enjoyed the magic class, but now wants to learn more magic! What do I do? Will my child be able to perform all of the magic tricks? What tricks will my child learn? I offer a variety of tricks in each class, here are some specific descriptions. Mind-Reading Crayon – The magician “reads” someone’s mind and announces which color they chose. Pick a Card – A spectator picks a card, puts in back in the deck, and the magician causes the entire deck to reverse itself, except for the chosen card! Mr. Bagee – The top of a zip-top plastic bag comes to life! The Magic Paddle – A plastic paddle is shown to have a square on both sides, then a circle appears…on both sides! The Fortune Telling Fish – A small plastic fish is placed on the hand and reveals a fortune! My child forgot how to do a trick…help! Don’t worry, that’s why I include complete instructions with each magic class! How long does the magic class last? While the length of the show varies depending on many factors, most magic classes usually run 60-75 minutes. (includes supplies for up to 20 kids….$5 each additional). Contact Presto with any questions or to book your show today!